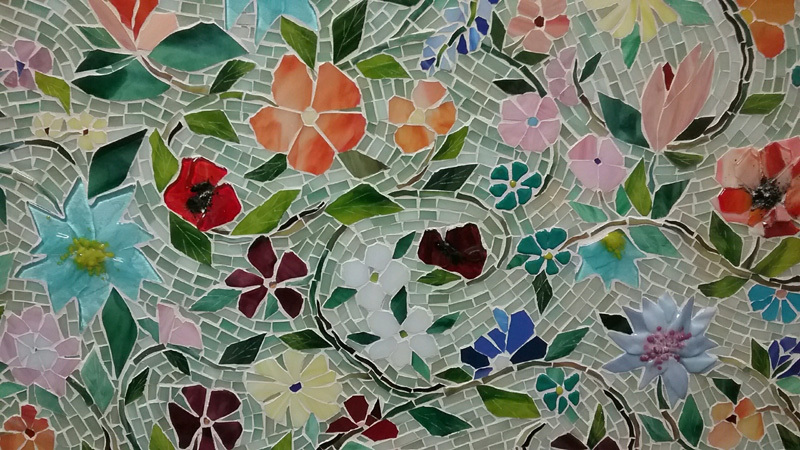 We created this colorful glass mosaic mural for our client in Salt Lake City, Utah. The mural will be installed as a feature art work in a kitchen. 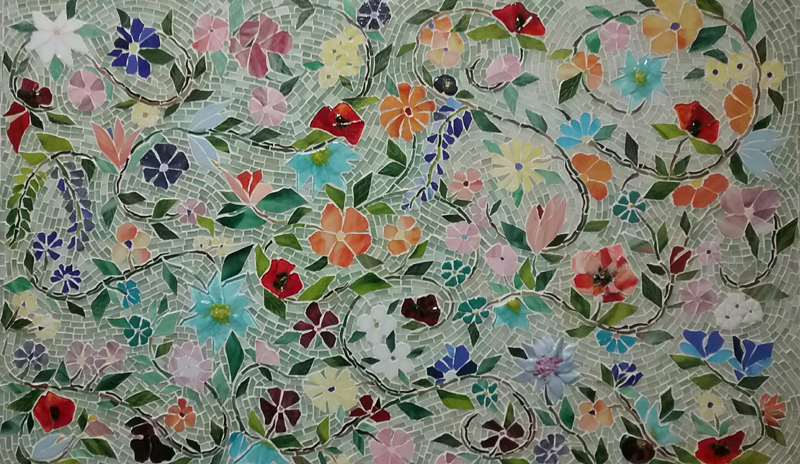 The dimensions are 30″ x 48″. 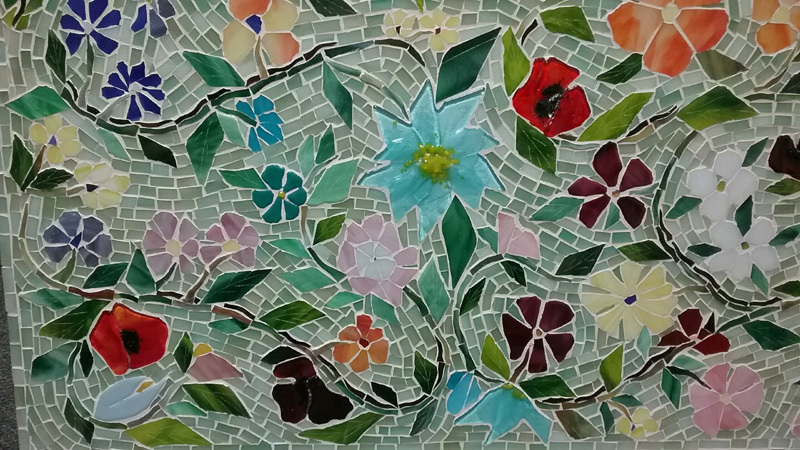 Most of the mosaic work is hand-cut stained glass but many of the design elements and colorful flowers are fused glass. They add pop and dimension to the art work.